Pelican Combo Series requires virtually no maintenance and does not waste water or use any electricity. has never been so important. It's time to see and feel the Pelican Difference for yourself! "People who like softer skin and hair, choose Pelican!" 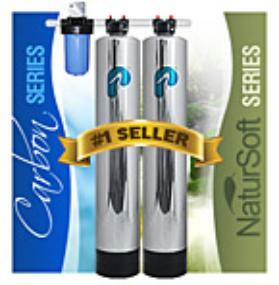 A no salt water softener saves you money, learn how! *Based on 80-100 gallons of water wasted weekly, total electricity usage and purchasing of salt monthly. taste of our water, and we love D & J !" whole house water filtration system. Phillip from Jacksonville Fla. Said " We ordered our system (the Pelican PSE2000) from D & J Construction on a Monday and it was delivered on Wednesday of the same week! Dominick was available to walk us through the installation without a hitch.....Highly Recommend!!" We have over 2,000 THRILLED customers and counting! You can Safely place your order online......Instantly! CLICK HERE!